Supporting the student who walks the path to healing. It is important for all present to recognize that this circle of seeking has been called together in order to support each - by each. As the journey becomes more difficult, it is to teach each to share completely, deeply of the self, recognizing that all others shall ask questions that will be regarded as inappropriate and to offer advice that is not desired by the ego. It is to remember why you are here within this circle; to open the self to the scrutiny of others, to invite advice, counsel, guidance from each – to allow it to sit with the self, to feel it, to determine the source of the aversion to that which has been suggested for the self and to then make decision as to what can be tried and what need be set aside until later when the self’s defenses are less rigid. To support the student who is engaged is a most honorable task – one that requires all present to be love; yet, to be firm, no nonsense, to never indulge the student who has failed to recognize the lesson. It is to bring forth harsh realities, for it is in that moment that the ego can be spotted, exposed, and then choice – true choice – presented to the student to change or to endorse the ego once again. It is to understand the power of the lesson plan, the power of the fields, the power of the energies that the Teacher has enlivened within the bodies of the self to prohibit you from being successful the first, second, third, fourth, fifth, sixth, seventh, eighth, ninth, tenth – twentieth, thirtieth, fortieth time. It is important for the student to recognize that “all is as it should be” are not just words. When placed together, “All is as it should be” as a phrase, stated to the self as mantram, “All is as it should be” – it informs the self that no experience is happenstance, that the Teacher is indeed with the self in this moment, that the self’s response is being monitored, that all that has been learned is being tested, that all that has been failed is being tested because the Teacher makes use of all that which is available to aid the student. The student that fails to see that which has been brought forth to teach the self is the student that fails time after time after time, recognizing that the Teacher endorses learning and steps back once the student has made clear the choice for the ego. Student: I most definitely do. It is to recognize the words, “I do…I most definitely do” – yet, when advice or counsel, guidance is proffered, it is rejected openly, out of hand, for the self has already determined the most appropriate course of action for the self. Do you understand my sister? Student: I do. I do understand. Thank you. To recognize The Student’s (Lesson Plan) aversion to opening the self to the guidance of another, overruling the voice that lies within the self that fairly screams, “I do not need assistance from anyone. I have the answers. I alone can find the answers for myself. I need no one else in order to be successful.” Failure to overrule this voice isolates the self, maintaining the superiority, the arrogant stance – that which says, “I do not wish to join together with others in order to accomplish. I stand alone, for alone is my preference.” Failure to recognize the influence of this lesson plan isolates the self and prohibits the self from successful interaction with other individuals, as well as the inner Teacher. I am Osiris. It is my desire to awaken within each of you the desire to walk the path to healing with the self’s own inner guidance. 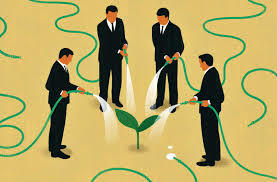 As stated previously, the self must learn to join together with others in order to accomplish first. It has been my honor to join you this day for the sharing of wisdom. Recognizing that preincarnative agreement does not eliminate choice is important; for the individual who determines, “I must do this because I agreed to preincarnatively” is one that will ultimately fail. It is to find the desire within the self, to state, “I am most fortunate to have planned this for myself. The fact that I am participating means that I have accomplished all that I had planned to accomplish. If I have not accomplished all that was planned I can look to these others to aid me in doing so rapidly.” Those consciousnesses that have chosen to work together in order to accomplish, planning the lifetime well in advance, are the consciousnesses that have been provided with tasking that necessitates the talents of many.